Project 150 came about in response to the mind-blowing number of homeless teenagers trying to complete high school without the benefit of a permanent home. In Clark County in December 2011, that number was a staggering 7,500. The issue was highlighted in a TV news report that focused on 150 homeless students at a single school. And that, ladies and gentlemen, is how Project 150 was born. 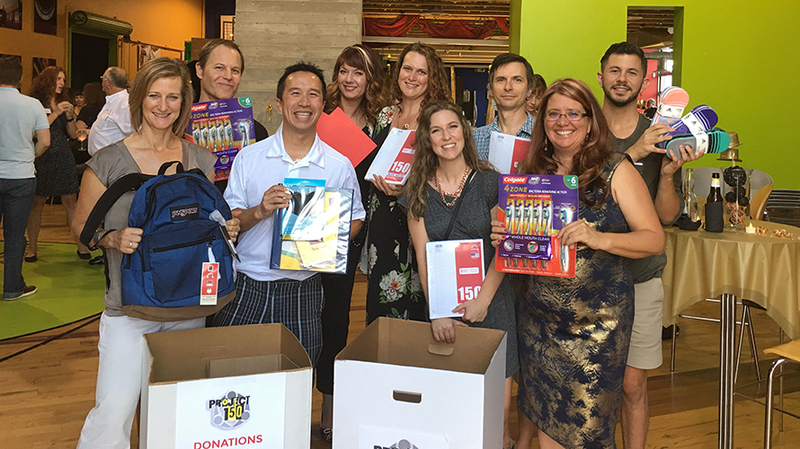 This volunteer-run non-profit is dedicated to supporting homeless, displaced, and disadvantaged high school students with clothes, school supplies and other resources to help them sport that cap and gown with pride. The program expanded to northern Nevada several years ago and currently serves students at Damonte, Hug, Reno, Sparks, North Valleys and Wooster High Schools. As part of our 24 Years 24 Deeds initiative, Estipona Group collected three oversized moving boxes lovingly filled with school supplies, personal hygiene products and clothing. If you missed our donation drive, never fear. It’s not too late to help. Clickity-click to visit their Amazon wish list or donate financially. Please and thank you. When we pushed “publish” on this blog, we had completed 16 of our 24 Good Deeds for 2017. This year’s Good Deeds have ranged from baking pies for seniors at an assisted living facility to providing marketing support for N.E.A.T, a group that uses therapy horses to help veterans with PTSD. We gave blood at United Blood Services and designed cycling uniforms for Reno High School. We truly enjoy supporting a variety of community organizations doing important, meaningful and vital work in our community—so much so that our tagline is, drum roll please: Work smart. Play nice. Do good and whatnot. Check! You can—and should—follow our progress on the 24 Years 24 Deeds page of our website. No time like the present. Just start clickity-clicking!